The Word Works : Blogs : Our Town Yokohama : Happy New Year! For John and Ruth, 2006 was a very special year. 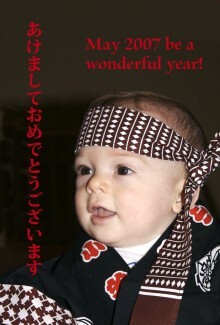 The baby in our New Year card is Keegan James Glynn, our grandson, born on June 10. He is looking forward to a great 2007. We hope that you are, too.